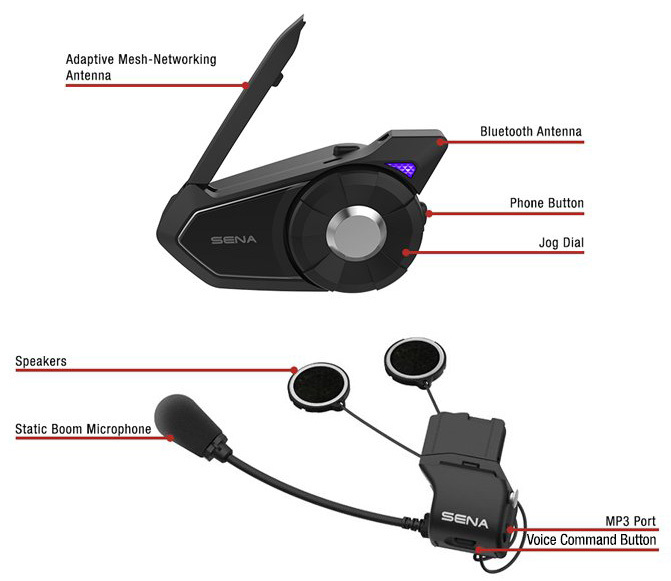 Sena 30K Adaptive Mesh-Networking Communication System. The 30K features Sena Adaptive Mesh-Networking technology allowing your group to seamlessly communicate, even if a rider falls out of range. With more connections and Mesh-Networking technology, the 30K is the next generation of communication. 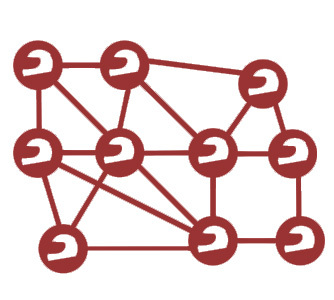 Adaptive Mesh-Networking, a step above. 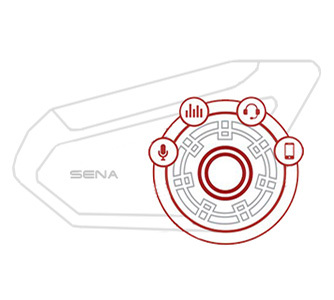 Group communication simplified with SenaÃ¢Â€Â™s cutting-edge new technology. 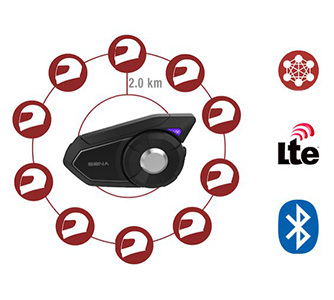 Sena Adaptive Mesh-Networking technology is about to change the way you communicate on your ride. 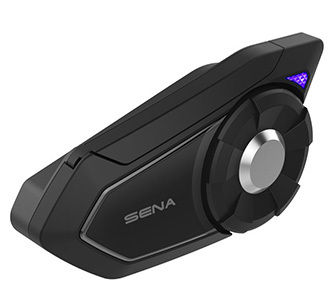 Group intercom connections are made simple with Sena’s new technology, when one of the groupÃ¢Â€Â™s riders goes out of range the Adaptive Mesh-Networking intelligently keeps the rest of the group in seamless communication. No longer will you have to worry about losing half of your connections due to sticky group intercom situations. 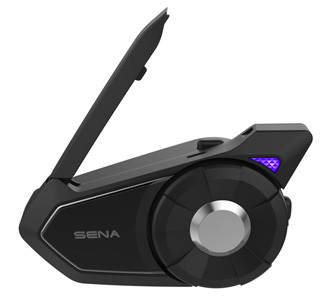 Sena’s 30K is one of the first mesh-network devices, which allows you to communicate with up to 16 riders at a range of up to 2 km (1.2 miles) with the 30K. Now more connected than ever. Don’t leave your buddies in the dust. 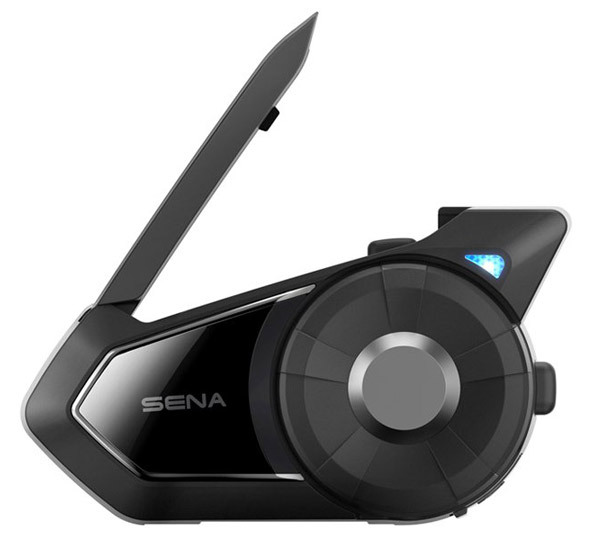 The technological advance of Sena’s Adaptive Mesh-Network communication has the ability to work in conjunction with Bluetooth allowing for more connections than ever before with the 30K. The 30K packs all of the capability necessary to ride in large groups. Designed with an innovative dual antenna and 2 separate processors, one for Bluetooth, and one for Adaptive Mesh-Network technology, the 30K has the ability to connect to each processor simultaneously with the new multi-operation feature. With the ability to dually connect to both Adaptive Mesh-Networking and Bluetooth 4.1, the 30K offers the connectivity you need while riding. More ways to connect with riders everywhere. Riding Connected Has Never Been So Easy. Top of the line tech keeps you ahead of the curve. More features to keep you riding in the right direction. The 30K does the multitasking, so you can focus on your ride. You control what you want to hear with Audio Multitasking™.